When will be Devil's Canyon next episode air date? Is Devil's Canyon renewed or cancelled? Where to countdown Devil's Canyon air dates? Is Devil's Canyon worth watching? Deep in the bush of British Columbia there is a new gold rush happening in area known as Devil's Canyon. Hundreds of millions of dollars in gold are waiting for anyone who is willing to risk their life to get it. Extreme prospectors Boyce Goff, Ben van der Valk and John Belchik travel separately into the areas of Devil's Canyon that are far beyond the reach of big mining companies, in search of the next big pay streak. No roads, no trails, no camera crew, no help. It's man vs. nature in one of the harshest environments on Earth, all for the chance to steal the Devil's gold. Boyce takes a massive risk crossing a river to reach rich ground; Ben rappels down a cliff in search of legendary nuggets; 68 year-old mining veteran John Belcik makes his initial descent into the Canyon. John's mining plans are derailed when a tree crushes his shelter; Ben discovers the best dig site he's ever seen, but needs fresh meat to mine it; Boyce's only shot at gold leaves him with dire options. Ben's season might be saved with a kill, but getting back on gold proves difficult; John uncovers a promising dig site, but fights against fading stamina; and Boyce's risks are rewarded with pay dirt, but transporting his gear will shake him to the core. Devil's Canyon next episode air date provides TVMaze for you. 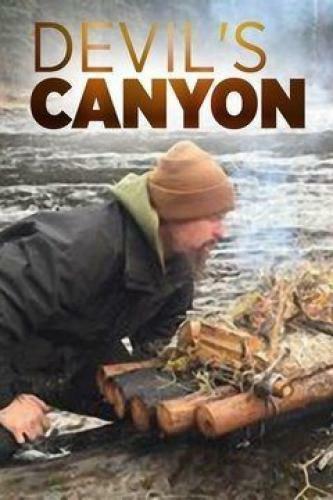 EpisoDate.com is your TV show guide to Countdown Devil's Canyon Episode Air Dates and to stay in touch with Devil's Canyon next episode Air Date and your others favorite TV Shows. Add the shows you like to a "Watchlist" and let the site take it from there.